Many of us need use tabs to load multi view information to the user. Using server side tabs which reload all the page to show a specific piece of information is not a desirable technique all the time. 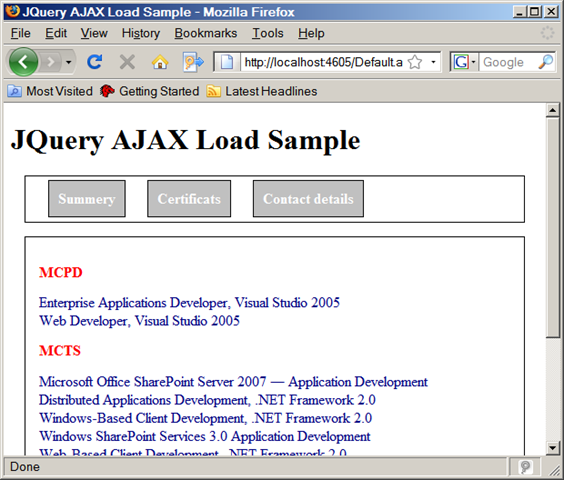 jQuery has a very nice way to do so, which is the topic of that post. 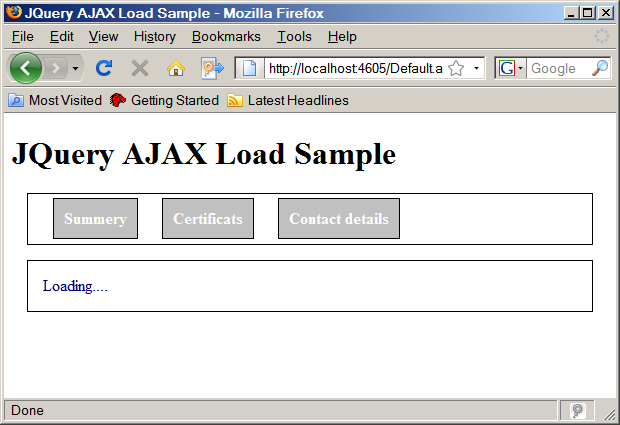 In this sample I’m using the jQuery AJAX load function to get specific information from the server, based on query string using client side scripts. // Getting the correct data according to the query string. // You can replace the static content with database retrieved data. context.Response.Write(@"Having +3 years of experience as a software developer specialized in design and implementation of web based applications using Microsoft technologies associated with strong analytic and design skills. <br/>Worked with both Waterfall and Agile project management methodologies and managed teams with Scrum. 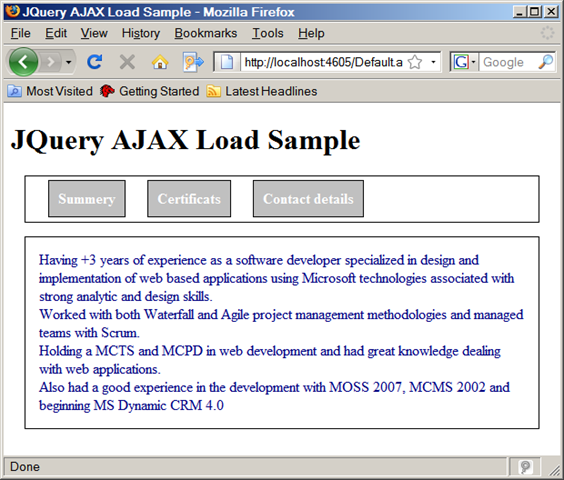 <br/>Holding a MCTS and MCPD in web development and had great knowledge dealing with web applications.